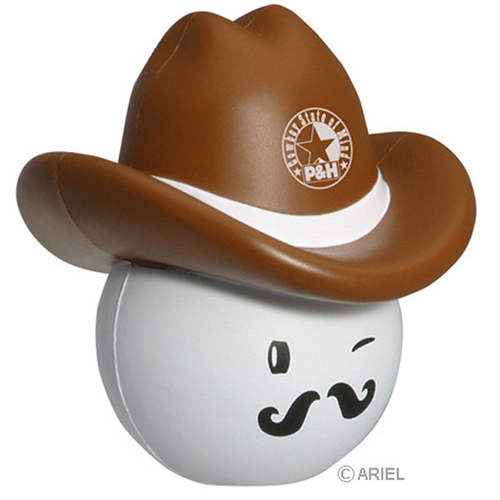 Our Cowboy Mad Cap stress ball is one tough dude. Custom imprint a cowboy mad cap stress reliever with a personal message and/or logo. Hand these cowboy mad cap stress balls out at rodeos, riding academies and equestrian shows. These cowboy stress balls are fun to squeeze. Item Size : 3-1/8" x 3" x 2-5/8"